As the camera moves closer the program acts as expected and the nearest quad (the white one) is split into 4 children quads, again, each with their own heightmap. 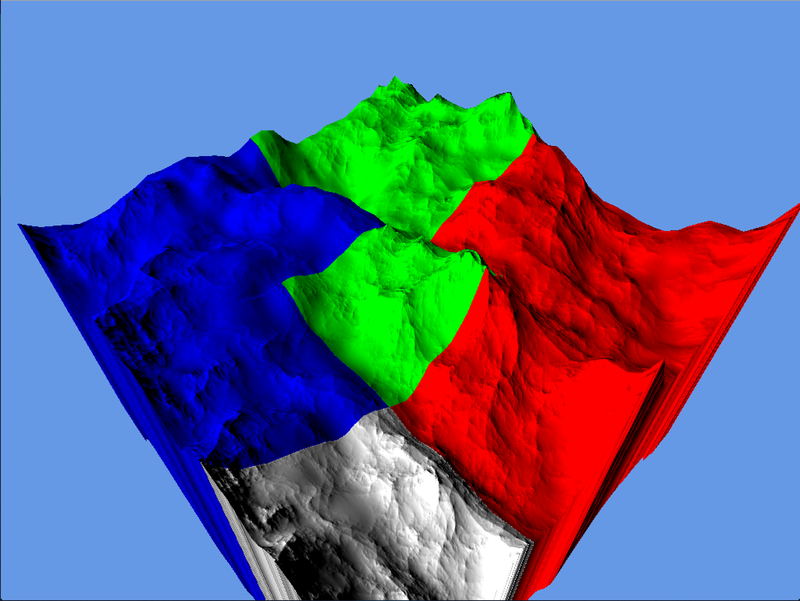 1 is the quad that has it's heightmap changed when the blue quad is split. #2 refers to the quad that the green quad seems to "take" it's new heightmap from. EDIT: So going through the program a little bit more carefully returned a few errors. Apparently when heightmapTextureUnit gets to be 80 and above the error "GL_INVALID_ENUM" is returned when the texture is activated. 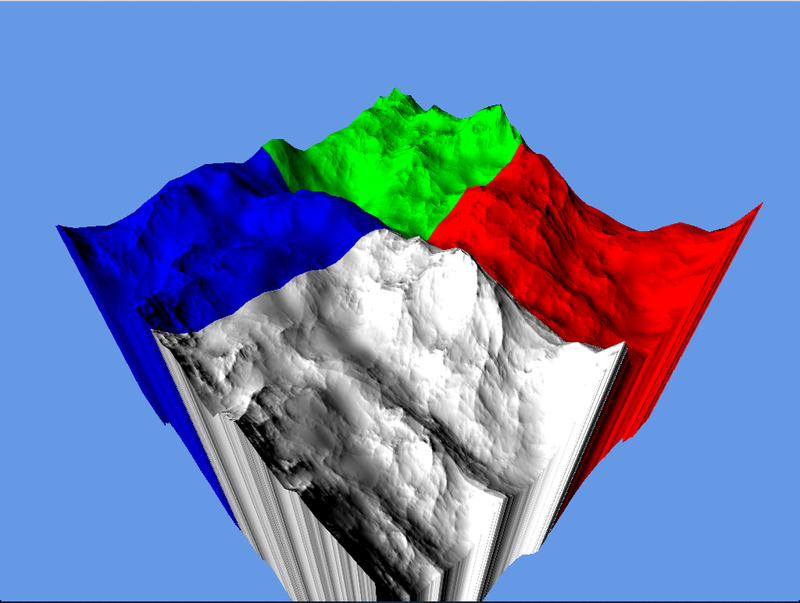 This is returned when the arguemnt of glActiveTexture() is not within the bound of GL_MAX_COMBINED_TEXTURE_IMAGE_UNIT. Is it impossible for me to have more than 80 textures? Also the error GL_INVALID_OPERATION is returned when I use the glDrawElements() method...but only when there are around 150 quads active. What causes this? Although your question is well formed and the screenshots help a lot understanding the problem, it would be very hard or impossible for others to identify your bug with the given information. It's also hard to tell what more information is needed. Fortunately you are asking how to proceed on debugging the problem, and that is answerable. Change the pixel shader generating the height map to produce constant height based on the quadrant. If the bug disappears, it was in the shader. Modify the algorithm to divide the quad to more than 4 subquads, e.g. 8 or 16. Is the bug still in the last subquad only? Replace the GPU terrain generation with CPU generation. Use static images as the height map. 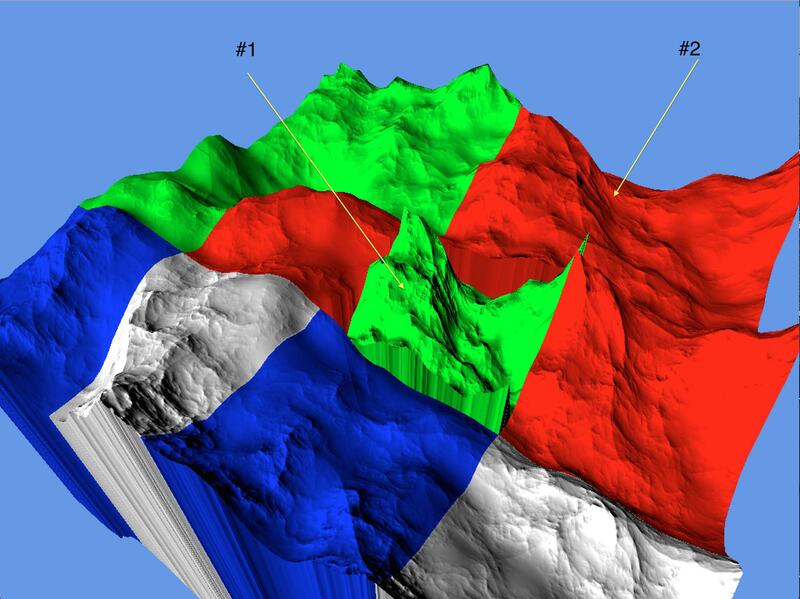 Remove the LOD and just divide the whole terrain evenly to these subquads. Hopefully some of the above ideas allow you to narrow down the bug and to ask a more specific question or solve it yourself. I figured out the issue... Instead of incrementing the texture unit every time I created a heightmap, I should have been just been re-using the same texture unit for every heightmap. Not the answer you're looking for? Browse other questions tagged lwjgl heightmap fbo or ask your own question. How does glRotate affect the axes of the global coordinate system?